Hallways are a space where we pass every day and has a high traffic demand. Needing to escape out the front door, generally, an area that leads off to other rooms it can get overlooked on the design front. However, this space can be just as eye-catching as other rooms in your home. It doesn’t have to be a space where we store our shoes, hats and clothing accessories. 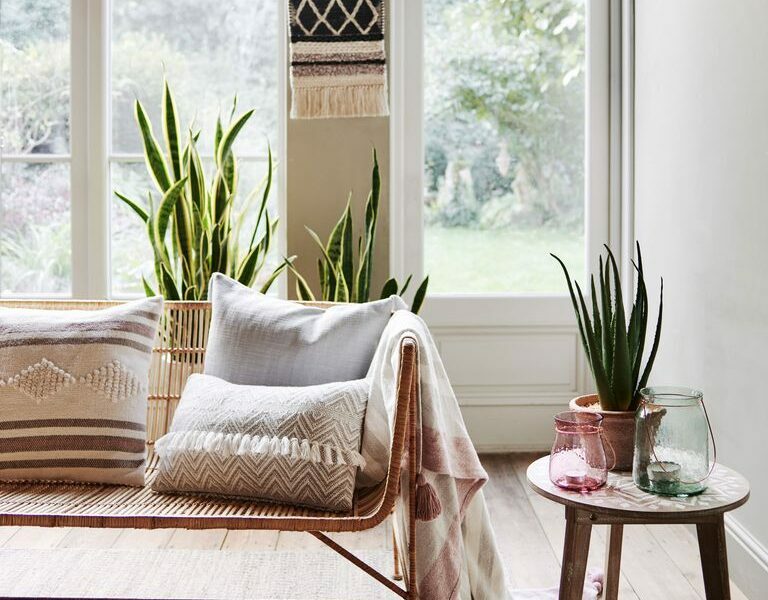 This space can be a wonderful area to create a gallery wall or be the lightest room in the home that shows off your plant collection. My old hallway was quite big and used to have a space for our grandfather clock. A cupboard sat beside it and I loved to put things in my cupboard and on top of it (oh how much I love cupboards). 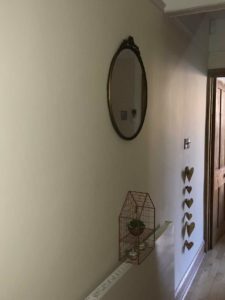 A round mirror stood on the wall where everyone would check themselves before heading out the door! Moving to a Georgian house, my hallway is much narrower and I felt it was important to add some depth to the blank walls so when I came home and opened the door something would make me smile and let me know I was home. I wanted a focus and to show visitors a little bit of my character. So sitting on the wall is my new round mirror and a copper wire, beach hut shape shelf with a plant and some candles. A big love of mine at the moment is natural baskets as planters, so if I had space, I would definitely have one of these but I don’t have the room. Because I am renting my new home right now, I can’t be putting 30 holes in the wall but if I could I would use the height of the walls as a focus so rather than looking at things at ground level like a bench and planter I would create a visual focus high up. 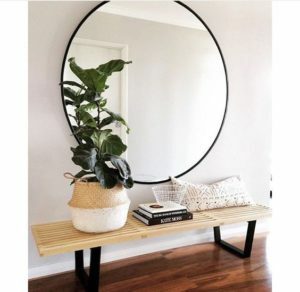 I am happy for now with my lovely round mirror and just adding a few pieces has made all the difference. It makes me smile when I put my key in the old, heavy door and that is enough for me. So I feel that no matter what size hallway you have you can create a lovely bit of your character in there! Storage is very important in a hallway, so if this is a space you have to store shoes and coats then it’s a good idea to have something that looks cool, as well as functional so it creates a nice visual look. 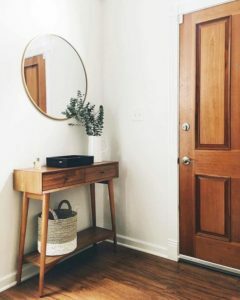 Here are a few ideas I have for you to update and focus on your hallway! Add plants where you can as they are such a visual focus and there are so many easy to maintain plants now that we should all be able to keep a few plants alive (honest). 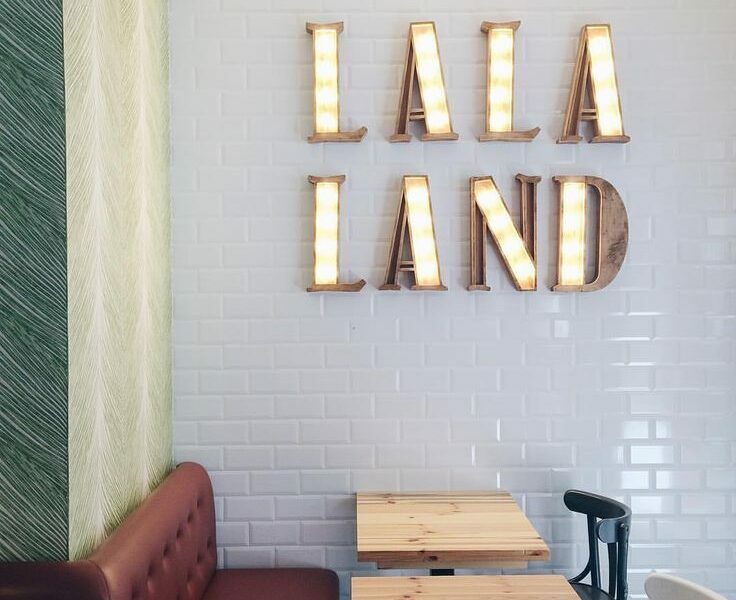 Use your walls to show your personality so if you love typography prints, here is the perfect place to show off your collection. Add natural storage. 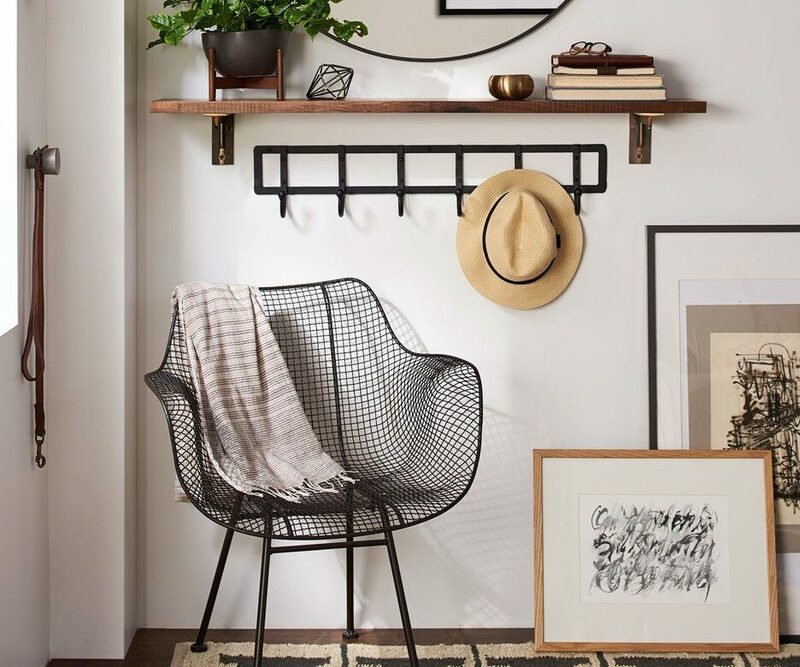 A way to modernise your hallway right now is to add some lovely natural baskets either as planters or as a place for storage like shoes, scarves or gloves. One of the ways to make a narrow hallway look twice as big is to add a huge round mirror. 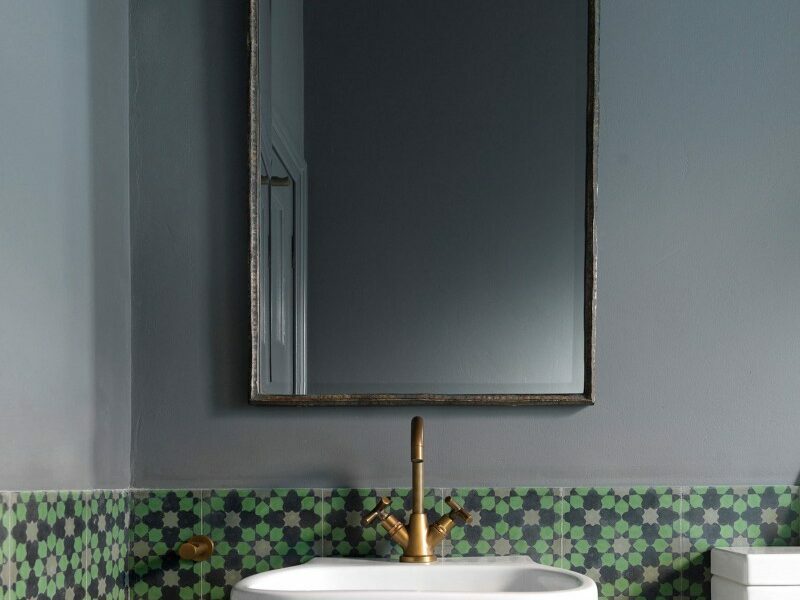 Not only are round mirrors a huge interior focus right now but they add so much depth to a room. There are so many designs and places to buy them from that you are spoilt for choice! Add a shelf to display all your nik naks or if you have enough floor space a bench or chair always look good in this area. One of my favourite places that are good for hallway interior finds is The Little Deer. They have some wonderful wall shelves and lots of natural storage baskets that will look just the part! I also mentioned H&M as a place for really good reasonably priced natural baskets in my Rattan Spring post. I am now going to go buy a natural basket to put somewhere as I am in love with them right now! Gorgeous idea!s! 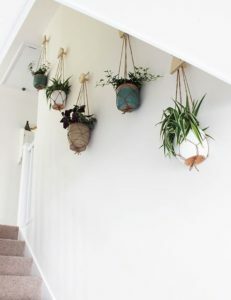 I want to do more in our hall way, I love the idea of using plants like that! They add such a lovely pop of colour! These are some lovely ideas, I have to admit our hallway leads straight from the front to the back so we haven’t done much with us as it’s more like a passage perhaps we should change that. I love these ideas. I’m really into Scandi/minimalist design so these are all right up my street.